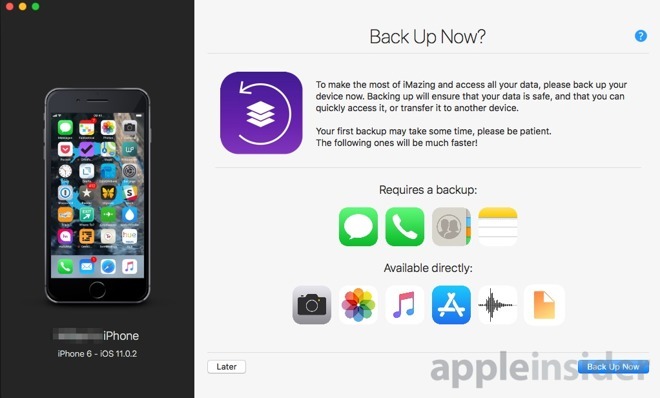 An update to the iOS backup and management application aims to restore the app synchronization functionality that iTunes ditched —for free. For years there's been an outcry saying that iTunes is a bloated mess that tries to do too much —but as soon as Apple removes a feature, we're complaining. The update to iTunes 12.7 dropped the ability to download and manage your iOS apps on your Mac, and with it, complaints lamenting the feature's loss. 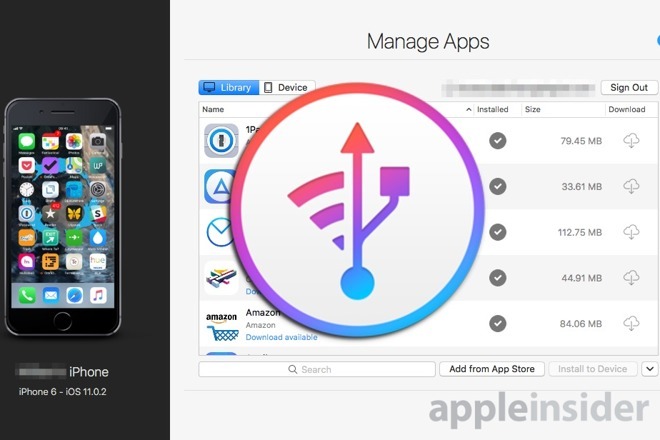 An update to iOS app management tool iMazing wants to fix that. With iMazing 2.5.1, you can get any or all of your apps from the App Store and save them on your Mac. So long as you own the apps, they are yours to download, backup and install as you need. That's a bigger deal than it may sound because apps do vanish. In theory you can go to the App Store and re-download, for free, any app you've ever bought. In practice, Apple or developers do remove apps permanently. With iTunes as it was and iMazing as it is, you can have those apps on your Mac and reinstall them to your iOS device whenever you want. It's a boon when you're setting up or changing several iOS devices at once. It's also excellent for when you want to see how much room apps, videos, music or anything else is taking up on that device. The new iMazing will show you how much space is being used and by what. You can then backup the data, delete some apps, clear space for others and then install what you need. You can also keep previous versions of apps on your Mac's drive so if an update goes wrong, you can revert to the older one while you wait for the developer to fix it. This is really what iMazing has been doing from the start. It hasn't been waiting 2.5.1 versions for iTunes to drop this feature. It's an iOS device management tool. 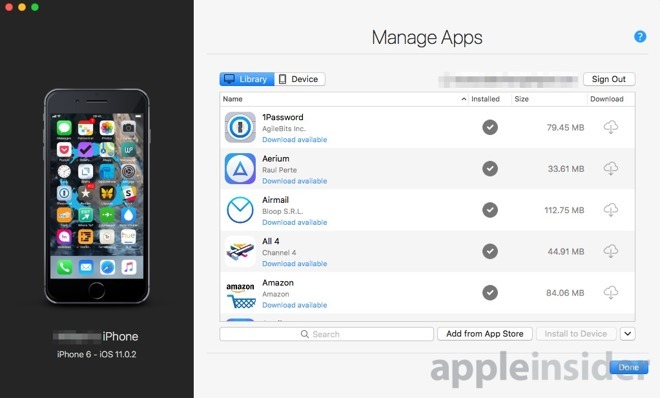 What's new is this app management service —and it's free. The full iMazing 2.5.1 app costs $39.99 but this new iTunes replacement feature is in the free trial and won't expire. The company says that these are functions we all used to get for free with iTunes so they don't think they should charge either. They also point out that Apple could in theory block iMazing from doing what it now does. There's no security issue, it's not breaking the App Store or getting you apps you don't already own. Still, it is accessing what you previously could only get to via iTunes so it is possible this functionality will be blocked in the future —but that would likely cause problems with other device management systems, so we don't think it's going away any time soon. Even while it isn't, though, and even while iMazing is doing a good thing, it's not complete. The most pressing issue is to do with apps you've deleted before installing iMazing. 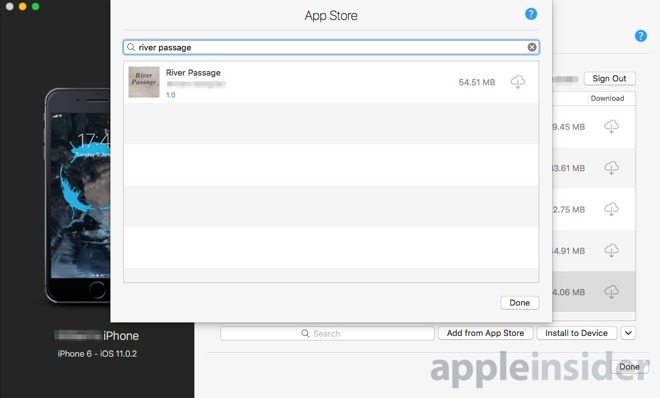 While iMazing can retrieve any app you own from the App Store, it can't tell you what you owned. It can't give you a list of your past purchases. You have to know the name of an app and search for it. Then iMazing can tell you whether you've owned it before or not. If you were someone who used iTunes to manage your iOS apps, you probably used it to arrange them too. In iTunes you could move apps around on your Mac and have them be moved on your iOS device. Rearrange your front screen, fiddle with your dock, group apps into folders: you could do all of that and now you can't. You probably didn't do that every morning and you probably didn't retrieve old apps every afternoon so you may not even have noticed that iTunes has changed. You will have noticed if you ever clicked on a website's link to an app and now seen that it may try and fail to open iTunes but that's also something iMazing can't help with. Consequently what iMazing 2.5.1 has added is small but when you need it, you need it. Plus iMazing in general is really a much broader tool that brings you greater control over backing up and extracting data from your iOS devices. So these new features are a good service that the developers are bringing to customers —and it's also an excellent introduction to all that iMazing can do. You can get iMazing directly from the official website where it costs $39.99 for a single user for macOS if you want all the features beyond app backup and sync. There is also a Windows version 2.3.9 which the makers say will have these iTunes features added soon.